Providers:Read the fine print in your EHR contracts. We all have a tendency to skip over the fine print sometimes; the car rental agreement, the parking garage receipt, etc. I’ve seen firsthand plenty of patients who don’t bother to read their HIPAA Notices of Privacy Practices. So it’s particularly interesting to read that physicians are upset that electronic health record vendor Practice Fusion launched a feature in its EHR software to send emails to patients asking them to rate their doctors. According to a recent blog posted by John Lynn, founder of the HealthcareScene.com blog network, more than 9 million emails have been sent to patients and the vendor has received about 1.8 million reviews. The problem is that the emails look like they were sent by the physicians themselves, and many of them were unaware that this activity was occurring. Lynn notes that many physicians feel that Practice Fusion violated their trust. Practice Fusion responded to Lynn’s post, apologizing for the confusion but stating that its practices are not a violation of HIPAA. The company also stated that it provided physicians notice about the emails. I don’t know whether Practice Fusion will see its business impacted by the negative publicity it’s now receiving. According to the comments to Lynn’s post, the vendor has also removed negative comments about the emails from its own website forum, and is being accused of populating Lynn’s blog with emails against Lynn. 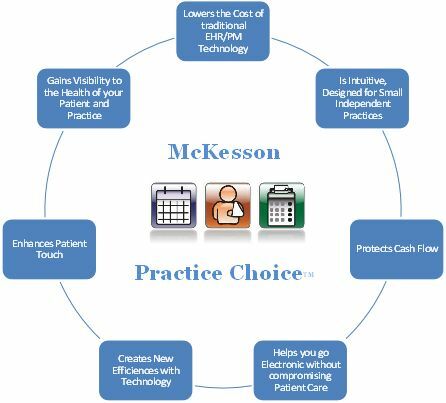 There already has been talk that many providers will be switching EHR vendors this year. Without knowing more, I also don’t know whether the email activity is truly HIPAA compliant. And physicians certainly have enough on their plates between treating patients and running their practices, so I can see where they may have glossed over a vendor notice about the implementation of a new EHR feature. The real issue, though, is whether the physicians ever gave Practice Fusion permission to engage in this kind of activity. According to the comments to Lynn’s post, Practice Fusion’s user agreement does allow it to send emails to patients, although I have not had a chance to corroborate whether the vendor contract actually permits as much. This is one of those instances where people really need to read that fine print. You’re not only dealing with a vendor relationship; you’re dealing with legal terms. But if you don’t bother educating yourself about what you’re signing, then you’re not doing yourself any favors. It’s important to trust your EHR vendor, but if you gave it permission to do something in your contract–even if you didn’t realize it–you’re out of luck. The Office of the National Coordinator for Health IT does a good job of preparing providers for just such a situation in its new guidebook on evaluating EHR vendor contracts. But it only works if physicians actually read them. The HIPAA Privacy and Security final rule — also known as the HIPAA Omnibus Rule — became effective March 26. One expert predicts enforcers will have a heyday with expanded ability to crack down on providers and their business associates. According to Jorge Rey, an associate principal and the director of information security and compliance for Kaufman, Rossin, the biggest difference in the new rule is a change in breach notification. Under the old rule, providers were presumed innocent of harming patients when a breach occurred – until they proved otherwise. Under the new rule, providers are presumed guilty of harming patients when data is breached. They will have to prove their innocence. Providers and their vendors and subcontractors have “in theory,” 180 days to comply before the Office for Civil Rights begins enforcement of the Omnibus Rule, beginning Sept. 23, 2013, Rey warns. But this doesn’t mean providers shouldn’t beware. They still will be held accountable under the old HIPAA rules until then, he says. According to Rey, OCR has already prosecuted five covered entities, with the settlements ranging from $50,000 to $1.7 million. The smallest OCR enforcement action involved the breach of fewer than 500 records. “I think they are putting out the message that they are serious about enforcement. They are going after small and large cases,” Rey says. He said he had received emails from OCR indicating the agency is starting to hire enforcement officials. “There’s going to be a lot of enforcement going forward,” he says. In addition, “create a visual map of your data; understand where your data is,” Rey says. Encrypt data in laptops and determine if data might best be kept safer in a centralized location. He points out that PCs and servers are also vulnerable to breaches.